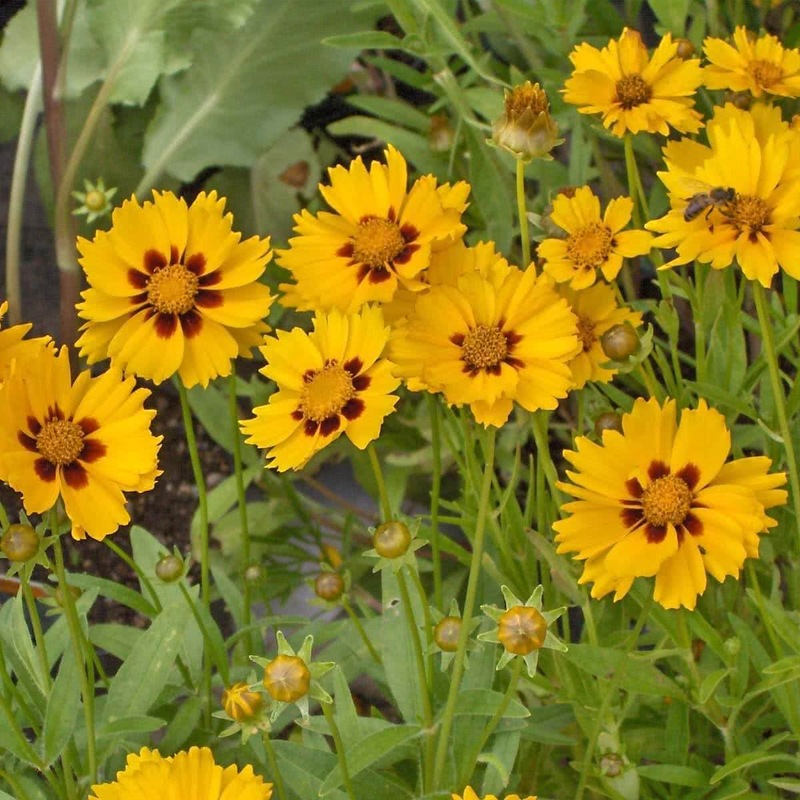 Introduction and Uses: Beautiful annual with bright golden yellow flowers, and the center contrasting with petals. It is a hardy plant that can tolerate a broad range of climatic conditions. 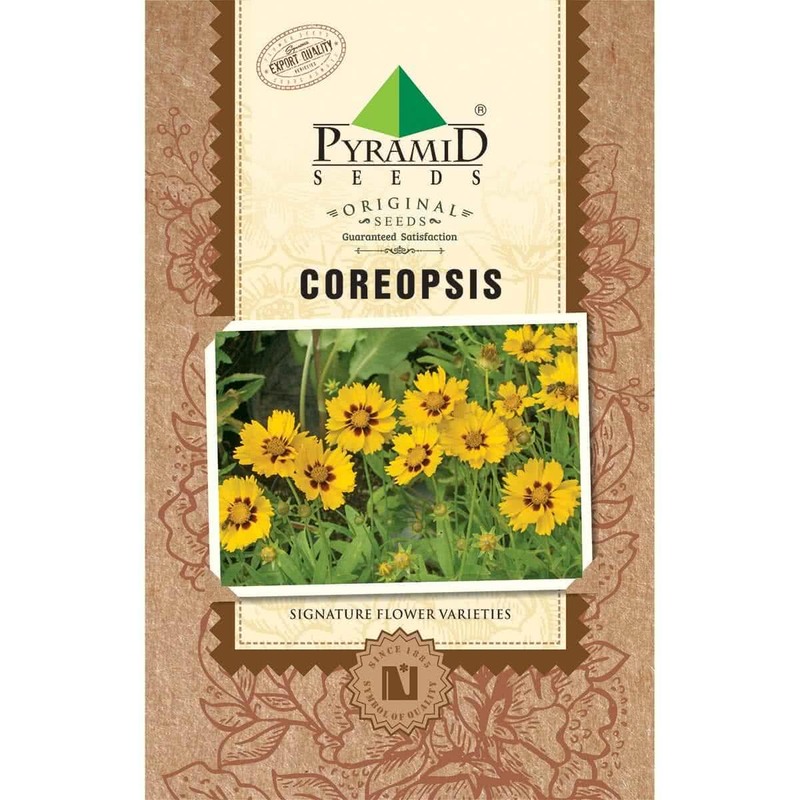 Coreopsis is suitable for flower beds, roadside bedding, background borders and cut flowers. It is planted in the butterfly garden as a nectar plant. Seeds are sown in January-February for summer, June-July for monsoon and September-October for winter flowering. Immediately after planting the seeds, water with a fine rose-can. Allow the seedlings to grow on seedbeds/trays, in semi shade. Planting Distance: A spacing of 30-45 cm is fine. The plant can be grown in 12-inch pot. Watering: The plant is drought resistant. Frequent light watering is recommended. Buy watering can online. Feeding: Fresh compost should be added to soil at the time of planting. Apply liquid cow dung manure with vermicompost every 15 days. Plant care: Plant doesn't need too much attention as it does not attract too many diseases. Let the plant grow freely in open sunny areas. Bloom time: Flowering takes place in 8-10 weeks of seed sowing. Flowers last for about 3-4 months or more.